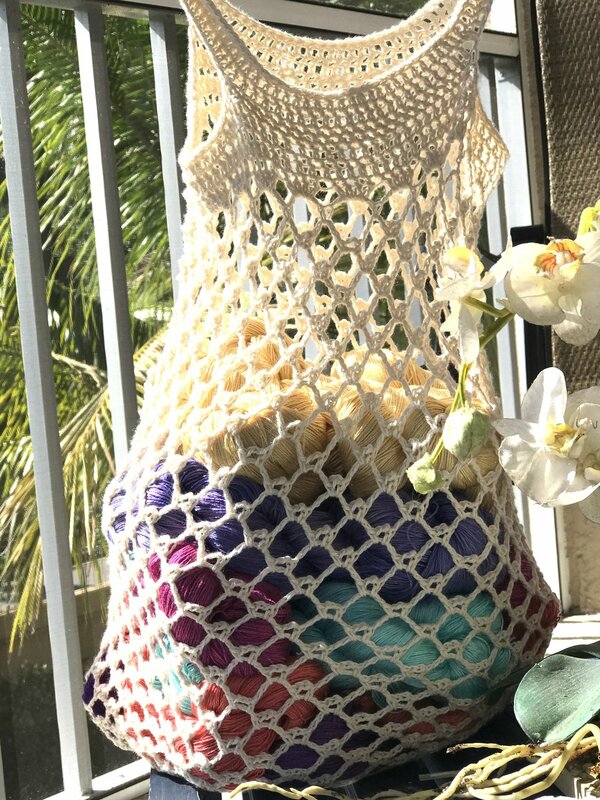 The classic market bag - seamless, in the round, and with only one ball of yarn. Be So Bare Yarn is 100% organic cotton, completely made in the USA. The addition of slipped stitches around the top edge and straps ensures sturdy and long lasting durability. The decorative picots in the classic mesh pattern adds a touch of romantic whimsy to this otherwise super functional and environmentally responsible project. 1 ball Be So Bare Yarn; 100% organic, completely USA made cotton; 315 yards per 4oz hank; #2 sport weight; undyed. NOTE: the nature of this mesh fabric has a lot of stretch to it. 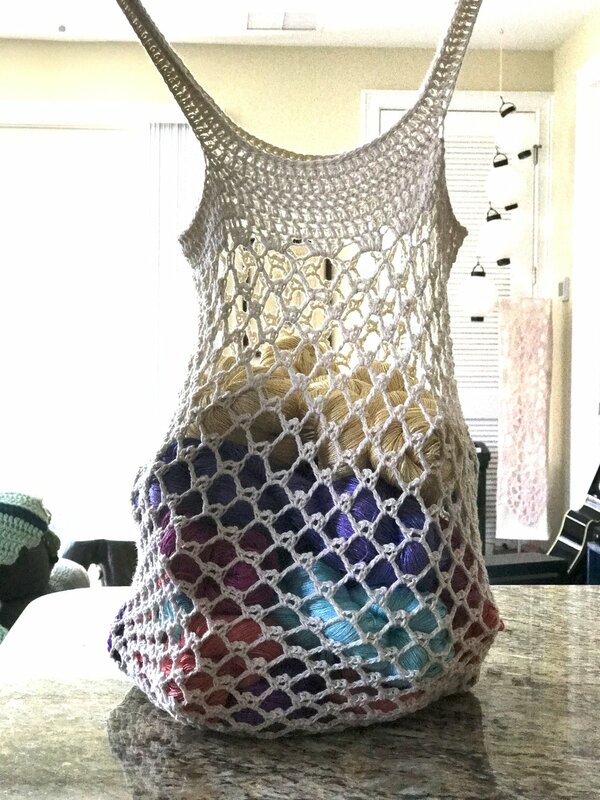 You will be amazed at how much you could fit into this bag! Ch4, slst to 4th ch from hook to form ring. NOTE: For smaller bag in video, base ends after round 5. Continue on to sides section. NOTE: (ch2, dc) replace last ch5 sp and positions you at the center of the ch5 sp to beg the next round. NOTE: stitch count for smaller bag in video is 15 ch5 sps after end of first round of sides. NOTE: for smaller bag in video, follow same repeat for a total of 20 side rounds. The numbers before parenthesis are for the smaller bag in video, and the numbers inside the parenthesis are for the larger bag. Round 45: slst in ea st around. Fasten off. Weave in loose ends. Wash, block to finished measurements and let dry.